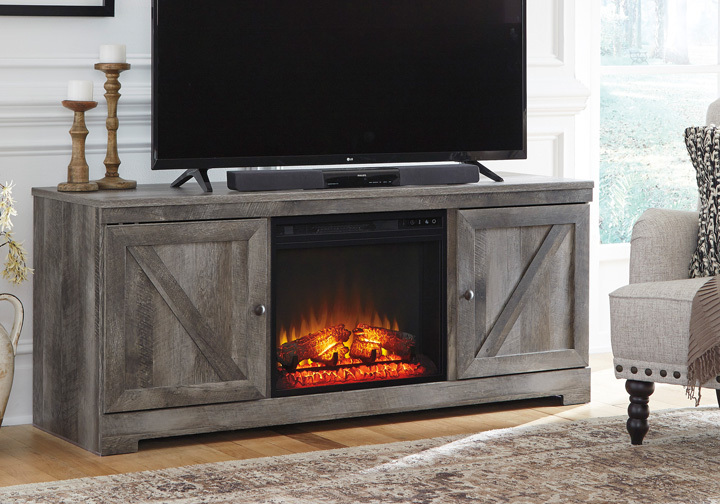 The Wynnlow fireplace TV stand is sure to win your heart with its daring designer take on modern rustic. 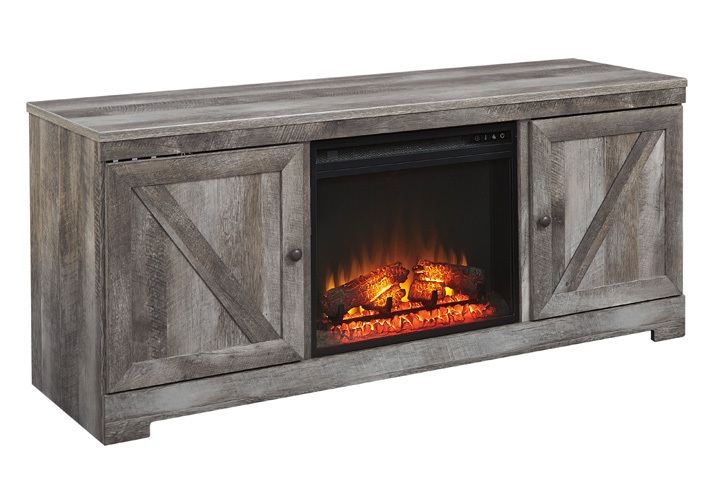 The stand’s crisp, clean and minimalist-chic profile is enriched with a striking replicated oak grain with thick plank styling and a weathered gray finish for that much more authentic character. The fireplace insert includes an electric flame feature that operates with or without heat, six-level temperature setting, five levels of brightness and remote control—along with an overheating control device for added safety.